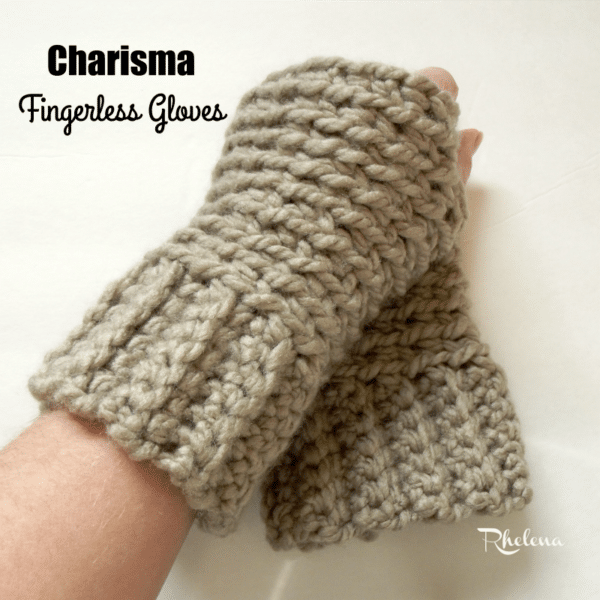 These crochet and easy fingerless gloves are so comfortable to wear because of the nice stretch from the stitch pattern and the yarn. They are definitely one of my favourites that I’ve made in a quite a while. And not only that, they work up quick due to the chunky yarn, which also makes them nice and cozy around my hands. 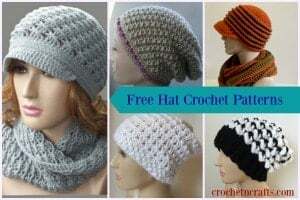 The pattern is given in only one size, but with a bit of know-how you can crochet these to a larger size as well. And if you like these, you might also be interested in more patterns with the simple stitch and yarn used here: Charisma. Or, for more glove patterns, you might enjoy these easy fingerless gloves, or the any size gloves, which are also easy to whip up. Finished Size: Laying flat, 3.5″ wide by 6.5″ long. Rows 2-20: Ch 1, blsc in each st across. Turn. (6 sts) Continue with this row until you have reached a desired circumference making sure to end in an even number of rows. Rnds 3-7: Rep rnd 2. Rnd 8 (for Right Hand): Ch 1, (blsc, ch 1) in same st as join and into each sc st up to last sc; ch 2 (for a total of 3 chs), sk last sc st and join with sl st in both lps of first blsc. (9 blsc sts). With 6.50mm hk. Join yarn along thumb opening with a standing single crochet. Work another 7 (or more for a larger opening) sc sts evenly around; join with sl st in first sc. Fasten Off. Thank you Loyda Soto Lopez for taking the time to test.